Mac repair Sooke BC – How to upgrade your old Mac. 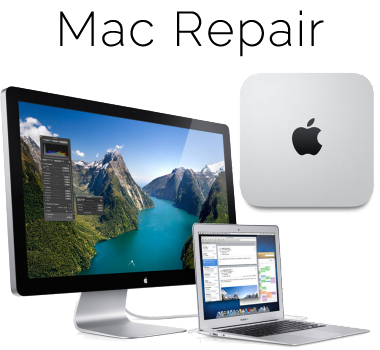 Mac repair Sooke BC – Cleardesk shows how to upgrade the components in your Mac. What if we told you that you can take an older Mac and turn it into something that feels and acts like it’s fresh from the Apple Store – including jaw-dropping performance. If you’ve got a MacBook, Mac mini or iMac powered by an Intel CPU manufactured as early as 2007 then it can be surprising what’s possible via a few hardware or software hacks; and there are plenty of upgrades for Mac Pro owners too. In this article we look at Mac repair Sooke BC and the possible upgrades that are possible on each category of Mac, as well as discussing some more general Mac upgrade advice. Before you get the screwdrivers out, be sure to check your device serial number against Apple’s ‘Check Coverage’ page. Now let’s talk briefly about what can’t be upgraded. Put simply, it’s often not possible to upgrade the CPU in a Mac, or its GPU (that is, the graphics card). With Mac models featuring Thunderbolt you can attach an external GPU, but those Macs are recent models. Some components can be swapped for replacements if they suffer damage or failure. You can swap out a dead drive, for example, or a cracked screen for a replacement. But it isn’t possible to take advantage of an upgrade at the same time – you can’t fit a higher-resolution screen, or upgrade to a more powerful battery, or swap your SuperDrive for a Blu-Ray model (although it is possible to attach a USB Blu-Ray drive). Add new RAM to an old Mac. At no time in the history of computing has it been a bad idea to max-out the RAM of your computer. The best news? As your computer gets older, RAM for it gets cheaper. iMac: You may need a technical screwdriver to open a compartment on the bottom although on some iMacs a small panel beneath the vents on the back of the unit pops off when you press the button beneath. MacBook (including Pro): On older MacBook models with a user-removable battery you’ll have to remove the metal guard surrounding the battery slot. On newer models without a user-removable battery it’s necessary to remove the entire bottom panel of the MacBook. MacBook Air: Unfortunately it’s not possible to upgrade the RAM in a MacBook Air because it’s soldered in place, with no memory slots. Mac mini: On some models of Mac mini the bottom panel can be easily popped off, although some require disassembly. The second piece of fruit ripe for plucking is storage. Put simply, replacing your boot drive with a solid state disk (SSD) will mean your Mac boots within seconds and apps will load in the blink of an eye. Maxing-out your Mac’s RAM and fitting an SSD will give you what feels like a brand new computer. It really is astonishing. Note that MacBook Airs have unique storage requirements, as discussed later, but other MacBook owners, as well as Mac mini and iMac owners should prepare to have their minds blown. The upgrade method of least resistance is to simply swap out your existing drive for an SSD. With a MacBook that doesn’t have a removable battery, or Mac mini, you should be able to remove the bottom panel, much as you did for the memory upgrade, and appropriate the fittings from the existing drive (although some Mac minis may require disassembly). For MacBooks with a removable battery, the same panel in the battery compartment that protects the RAM can be removed to gain easy access to the hard disk, which it should be possible to remove by pulling a tag. Sadly, on an iMac, replacing the disk is much harder. You’ll have to first remove the screen, which can be challenging and brings a comparatively high risk of damaging something. Once again it iFixIt has some excellent illustrated guides for all models of Mac and will also sell you the tools required. A simple YouTube search can also pay dividends. An alternative method of installation on a MacBook is to remove the SuperDrive (that is, the DVD drive) and put the SSD is the gap where the SuperDrive used to be. The original disk can be left in place and the SSD selected as the boot drive via the Startup Disk option in System Preferences. Because the optical drive uses a special SATA/power connector, a special caddy for the SSD is required, which will also hold it securely in place. Examples can be found on Amazon and eBay, and are usually inexpensive. Some kits come complete with a USB connector that lets you use the removed SuperDrive externally. Upgrading either the RAM or adding a Solid State Drive will revolutionize your Mac’s performance. Whether it’s in your home, your business, or your home business, there’s no need for you to unplug your equipment – and wrestle with getting it reconnected once it’s working again. We come to you! Sometimes it’s easier to drop off that laptop or mobile device than it is to wait for an appointment and then hang around while we fix it. You can get on with the rest of your day while we take care of your computer. Did you know that most computer service can be completed online, and we can often get to work the minute you call? Whether its fixing that email issue or getting rid of a virus, our online service can handle it!